Between 6 – 9 May 2019, Pyroban will exhibit at the Offshore Technology Conference (OTC) in Houston, Texas, an exhibition devoted to the advancement of scientific and technical knowledge for offshore resources. During OTC, Pyroban experts will speak directly to existing and future customers in the U.S. (and from around the world) about its range of explosion protection products and services to help manage the risk of ignition found in diesel engines and mobile equipment in offshore oil and gas installations. 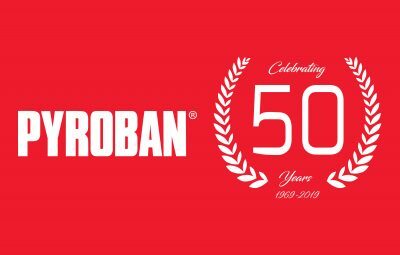 The Pyroban range includes explosion protection engine kits, packages, components and control systems typically used in well service equipment such as coiled tubing units (CTU), cementing units and air compressors. Equipment is fully certified to the European ATEX 2014/34/EU and other international standards. The Pyroban project began in 1969 in the UK to provide explosion protection for industry above ground giving birth to zone 2 areas in conjunction with the then UK government HSE. Today, Pyroban (the company) helps keep people safe in a variety of manufacturing and logistics applications where potentially explosive atmospheres may exist, including those in the food and drink, cosmetic, pharmaceutical, chemical, coatings and waste management industries, as well as the Oil & Gas industry. If you have any questions about explosion protection or would like more information, be sure to visit Pyroban at OTC 2019 on stand 1439-I or visit www.pyroban.com for further details. Alternatively, speak to Pyroban directly by calling +44 (0)1273 465825 or email sales@pyroban.com.